Is Jagan planning to take support from KCR & Owaisi to take on Naidu? Sri Ramachandra Murthy December 20, 2018 08:00 IST Is Jagan planning to take support from KCR & Owaisi to take on Naidu? According to sources although YS Jagan Mohan Reddy has been backing TRS in Telangana longtime from now, he has never opened up about his bond with KCR owing to his party's political future in Andhra Pradesh. Meanwhile Jagan Mohan Reddy has always maintained a secret-pact with KCR and this has come out in the open during the Telangana elections where YSRCP has not contested but indirectly supported TRS. Furthermore as TRS stormed to power with a landslide victory, equations seem to be changing. 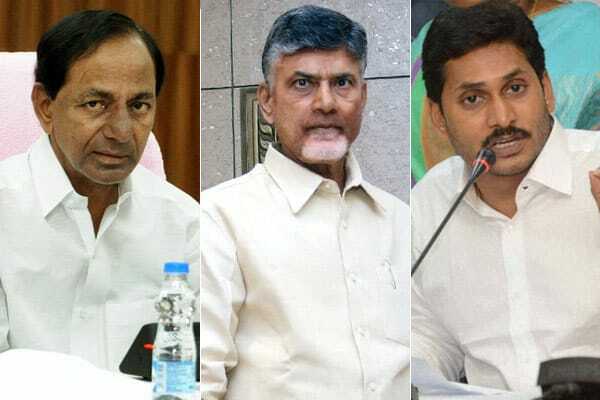 Reportedly as KCR and Owaisi have announced their support to YS Jagan in Andhra Pradesh and stated that they would do their best for Jagan's win, Jagan is now set to meet KCR, KTR and Owaisi. Futher as KCR called for a non-Congress and non-BJP front nationally, Jagan wants to meet KCR and announce his support to the front. But internal strategy of Jagan is to cash in on KCR's success in Telangana. Moreover though KCR has been claiming of having an image in Andhra, the reality is that people of Andhra Pradesh hate KCR for his derogatory comments on them. People's memory might be short, but the wounds KCR made in Andhra and Rayalaseema people's hearts are still fresh. Reports added that in this backdrop, Jagan wants to meet KCR and Owaisi isn't a wise one.